At the core of any management consulting project is a strategic issue that we must help the client address. Strategic issues can arise at all levels of the organization. However, their nature differs dependent on which level they arise. 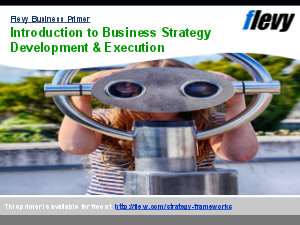 In this presentation, we will discuss the different types and levels of strategy. To help structure this, we introduce the Strategic Analysis Pyramid. This document also introduces the Analytical Problem Solving process, a 6-phase approach to solving a strategic issue. This is a common approach adopted by many top management consulting firms. This problem solving process is referenced and used throughout the remaining training presentations.